How marvelous to still have a real hat store, a true haberdasher behind the counter, even if most of their stock in trade is ballcaps and meshbacks. You've got control of the time machine while you're here. History isn't a dull, dusty old place, it's just yesterday from awhile back. My goal is to be an explorer, a matchmaker, a facilitator between people wanting a peek at how things used to be and the drawers of old maps and other goodies out there waiting to be discovered and introduced to this wide, wonderful digital world. Check out the Bulletin Board tab above for ways that you can help network history. My Own Time Machine by Sabra Smith is licensed under a Creative Commons Attribution-No Derivative Works 3.0 United States License. Based on a work at myowntimemachine.wordpress.com. 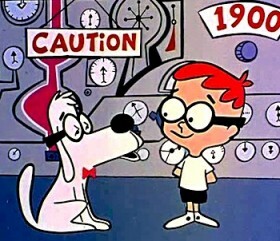 Nostalgic for the original Wayback Machine?